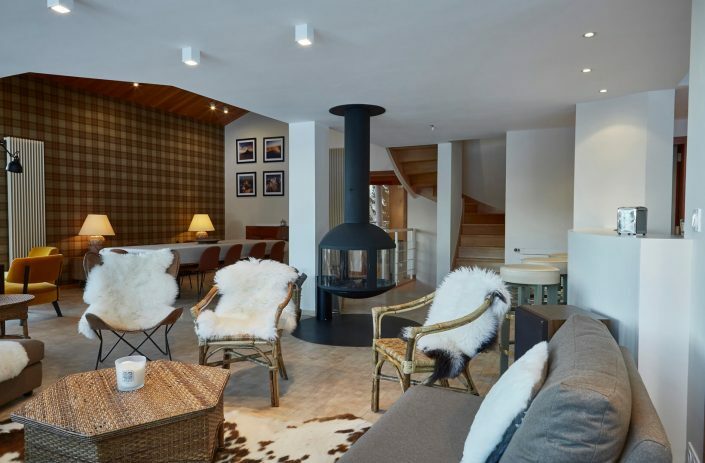 The Grand Malet residence offers luxury apartments at the foot of the slopes in Les Carroz d’Arâches, in Haute-Savoie. This exceptional place, set in a setting like no other, near Mont Blanc in the Rhône-Alpes region, is the guarantee of a complete change of scenery. You’ll be seduced by the size of our apartments. The calm and refined atmosphere of our rentals is ideal to ensure an unforgettable stay and will sure move you! We provide bespoke services to help you enjoy your high-altitude holidays to the fullest! 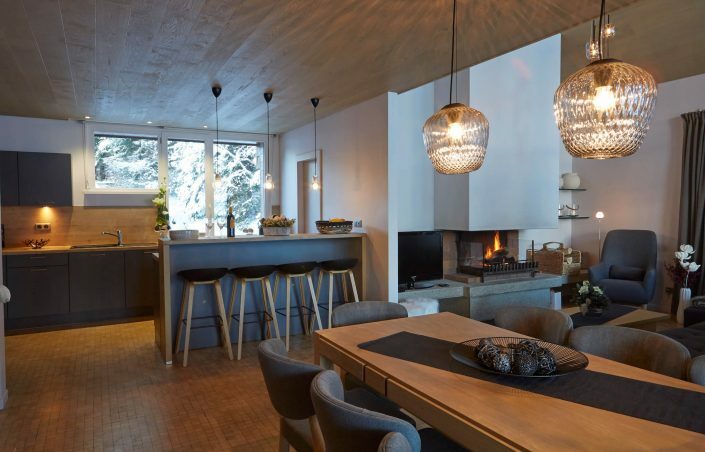 Located at the foot of the Timalets slope, near the skiing school and gondola lifts, our four apartments await you for your next holidays with family or friends. Using our panoramic lift, you’ll reach our three 200sqm. duplex, capable of hosting seven to ten people. We also provide a 400sqm triplex with a capacity of twelve to fourteen people and equipped with a sauna. 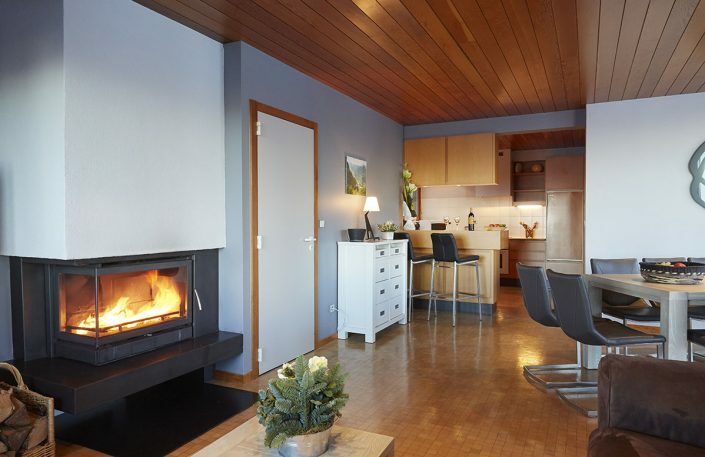 All our accommodations are equipped with en-suite bathrooms, a living room with fireplace – ideal to get warm after a nice day of skiing – and a fully-equipped kitchen. 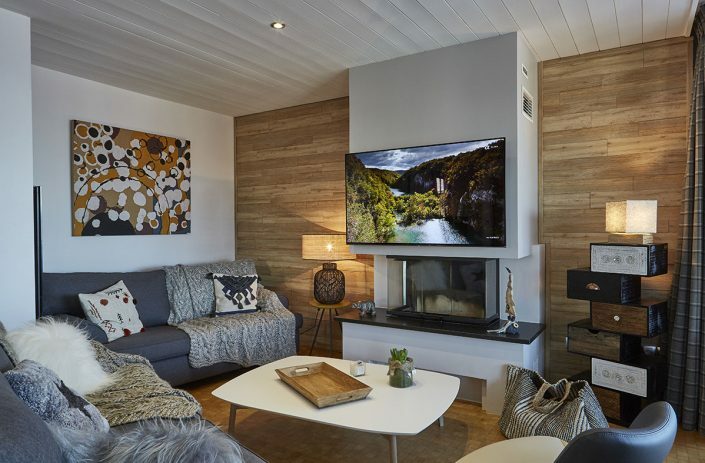 You’ll also be able to enjoy a large terrace to admire the gorgeous mountain landscape, as well as a private ski room equipped with a shoe drying system to store all of your gear. Our apartments all have disabled access. 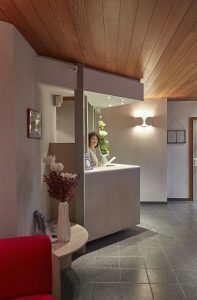 Catherine will welcome you and answer your calls to book your holidays in Les Carroz D’Arâches. Contact her on +33 (0)6 76 95 45 41 or on +33 (0)4 50 90 08 23. Communications in French, English and German. The Grand Malet residence is located at the foot of the Timalets slope, in the Les Carroz domain, just 10 minutes from the A40 exit. Several ski package are available for ski enthusiasts. You can choose between the “Le Massif” domain, which grants you access to Les Carroz, Samoëns, Sixt and Morillon, and the “Grand Massif”, one the largest ski domains in the Alps. The latter connects 5 ski resorts : Les Carroz, Flaine, Morillon, Samoëns and Sixt. 265 kilometres of ski runs and 71 ski lifts await you for thrilling, sunny days. Note: free Skibus shuttles are at your disposal. Line E serves Les Servages on a regular basis and allows for an easy connection to ski lifts and the village centre. Numerous other activities are available such as sledge, paragliding, and many more ! For lovers of fine local cuisine, the restaurant Les Servages d’Armelle, located just around the corner from our residence, will delight you with Savoyard cuisine. 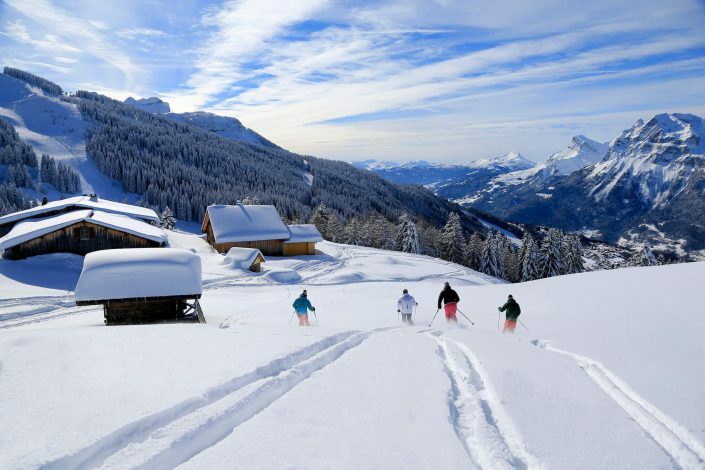 Our rentals are ideally located at the foot of the ski slopes of Les Carroz. 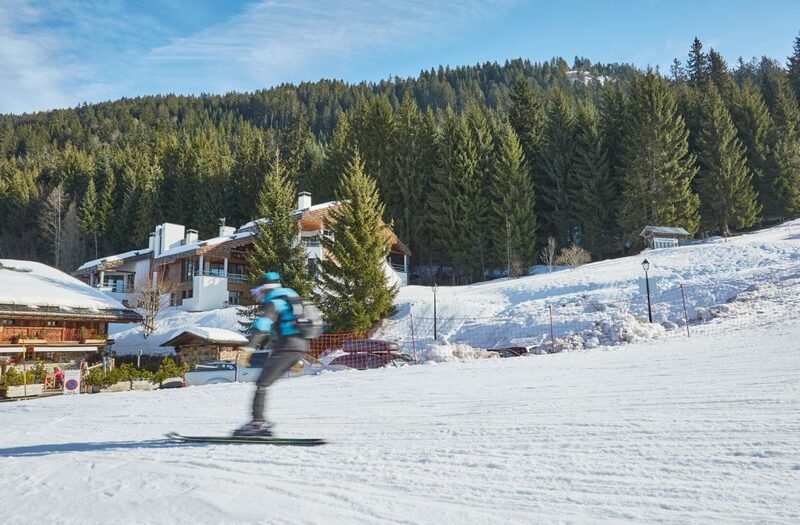 Put on your shoes and skis and discover the skiing domain. Rent your downhill or cross-country skiing equipment, sledge and accessories at the ALEX SPORT boutique. The store will deliver and retrieve the equipment directly at your apartment. You don’t need to go to the shop anymore ! During your stay, book private ski lessons and excursions with a seasoned instructor directly at reception.